From Goodreads ~ Three days after Christmas, a lonely bartender looking for a reason to live rescues an abused puppy from a trash can and meets a damaged woman looking for something to believe in. As their relationship grows, they cross paths with the Chechen mafia; a man grown dangerous with age and thwarted hopes; two hapless stick-up artists; a very curious cop; and the original owner of the puppy, who wants his dog back. Bob is a bartender working in his cousin, Marv's bar. Well, it's not his cousin's bar anymore since Cousin Marv lost it to the Chechen mob. He continues to run it, though, and it's a drop for money, betting, etc. One night the bar gets robbed and that brings the Chechens and the police down on them. In the meantime, Bob finds an abused puppy in a garbage can and rescues it. 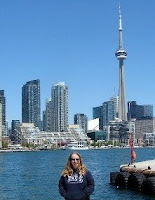 One of his neighbours, Nadia, helps him with training it, walking it, etc. Then Eric, the owner of the puppy who is a nut, appears and wants his dog back and Bob will do anything he has to so that doesn't happen. Besides the church, the puppy is all he has. His parents are dead and he still lives in the house he grew up in and drives his dad's car. 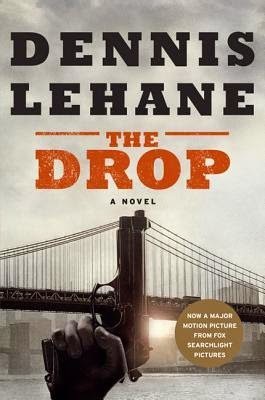 It's been a while since I've read one of Lehane's books ... I used to be a big fan of his Patrick Kenzie/Angela Gennaro series. This book was okay. It was a quick read and I didn't find myself feeling anything for the characters. As a head's up, there is swearing and violence. FYI, this book was made into a movie (or vice versa) starring Tom Hardy, Noomi Rapace and James Gandolfini and was released in September. I think it would work well as a movie and I'll keep an eye out for it. I'm so glad to see this book reviewed - thanks, Teena!